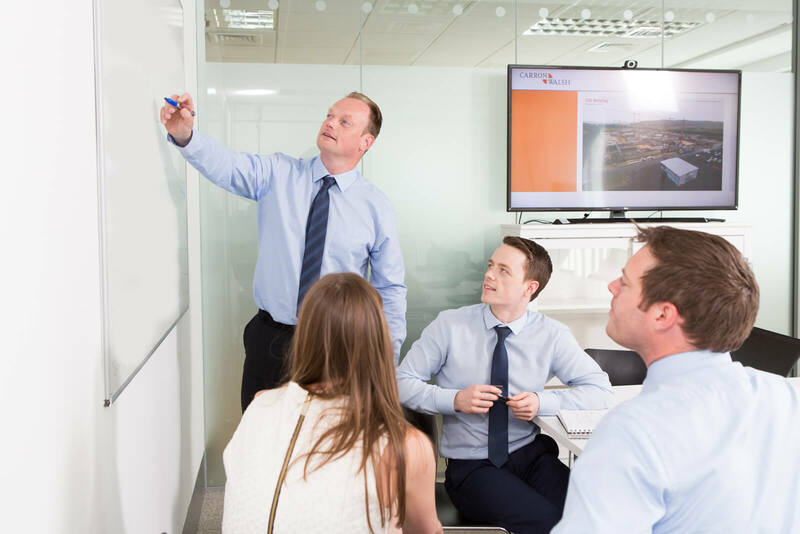 At Carron + Walsh, the strength of our business is a direct result of our high calibre, committed and enthusiastic team. We aim to go beyond the expected to ensure that your vision is not just realised but surpasses your expectations. As part of our business development policy we seek to continuously educate and develop our staff to maintain best practice service delivery within the industries in which we operate. We examine every aspect of a project to focus on the smallest details, applying rigourous processes to deliver optimum results. As an equal opportunities employer we are seeking applications from suitably qualified individuals who can play a role in the continued development of our business and share in its future success. Denis is founding Partner and Director of Quantity Surveying of Carron + Walsh. Heading up Carron + Walsh’s Quantity Surveying operation, Denis has over 20 years consultancy experience with specialist knowledge of Quantity Surveying, Contract Administration, Feasibility Studies, Procurement Advice, Risk Management, Whole Life Costing and Cashflow Modelling to the Construction Sector both in Ireland and internationally. 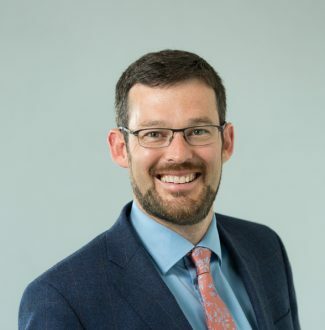 Denis is a Fellow of the Royal Institute of Chartered Surveyors and a Fellow of the Society of Chartered Surveyors of Ireland, and held the position of Director within Nolan Ryan Tweeds, part of the WYG group of businesses prior to establishing Carron + Walsh in 2010. With diverse construction experience gained in Ireland, Australia & the Middle East, Denis has an in-depth understanding of the procurement of buildings in all industry sectors and is involved in many public and private commercial developments. Marian is a founding Partner and Director of Carron + Walsh. 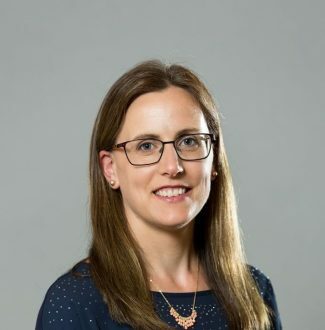 Operating as Director of Project Controls & Project Management, Marian brings her expertise to the full range of Carron + Walsh service offerings to the Construction Sector in Ireland and internationally, where she has engaged in projects in the USA, UK, Europe and Australia. Prior to establishing Carron + Walsh in 2010, Marian held the position of Director of Project Management within Nolan Ryan Tweeds, part of the WYG group of businesses. 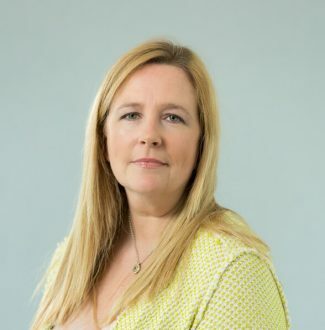 With over twenty years’ experience in the construction industry in Ireland & internationally, Marian has acquired significant knowledge and expertise in the areas of project & program management best practice, governance, program audit, project controls, contract administration, cost engineering, project planning, estimating, and risk management. Michael joined Carron + Walsh as an Associate Director during the establishment of the business in 2010. He was subsequently promoted to the position of Regional Director in 2016. Michael brings over twenty years’ practice in the construction industry, working with a wide range of clients in the procurement of industrial, commercial, residential, historic and public buildings. 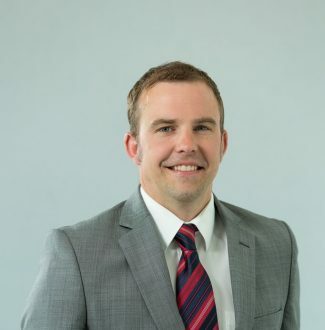 In addition, Michael specialises in the administration of contracts related to planned and reactive maintenance for Clients with large property portfolios. Nigel joined the practice on its establishment, initially as a Senior Chartered Quantity Surveyor and was promoted to the position of Associate Director in 2016. Nigel leads a team of quantity surveyors operating within our Waterford office. Working for over seventeen years’ in the construction industry, Nigel has acquired a broad range of experience in the procurement of buildings in all sectors including education, healthcare, residential, commercial, retail, leisure, industrial & pharmaceutical projects. Nigel is also a current member of the SCSI South East Region Committee. Alan joined the practice in 2013 as a Senior Chartered Quantity Surveyor. Alan was promoted to the role of Associate Director in 2016. Alan’s expertise include budgeting/cost planning, assessment of Suitability Assessment Questionnaires with regard to pre-qualification of works contractors, final account negotiations, managing teams, liaising with clients and business development. With over sixteen years’ collective experience, Alan has engaged across a broad range of sectors in the construction industry. Projects have included Residential, Commercial, Healthcare, Education, Retail, Leisure Facilities, Conservation and Public Realm, spanning both public and private sectors. Colin joined Carron+Walsh in the role of Quantity Surveyor at the foundation of the business in 2010. He has since progressed to the role of Associate Director, receiving promotion in 2016. Through his career to date, Colin’s experience varies across a wide range of projects in variety of sectors including educational, industrial, residential, civil, commercial, retail and listed facilities. Colin has completed a number of commissions with the Kingdom of Saudi Arabia, in locations including Riyadh, Jeddah and King Abdullah Economic City. With a decade of experience in the construction industry, Elaine has acquired significant experience in the project management, programming and scheduling of complex construction projects. 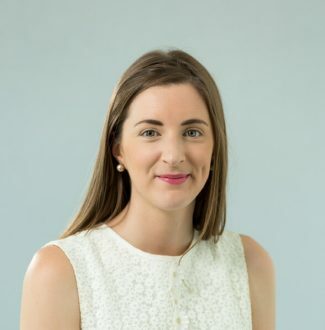 Elaine joined Carron + Walsh having relocated from Perth, Western Australia, where she fulfilled scheduling roles on two significant and complex projects. Elaine received a number of accolades for her role on the AUS $ 2bn Fiona Stanley Hospital Project in Perth. Since joining Carron + Walsh, Elaine has served projects in Ireland, Belgium and USA. She is experienced in project management and controls, project planning, execution, risk, claims and delay analysis for a wide range of Clients. Elaine is highly experienced in the use of scheduling software including Primavera (P6), ASTA, Microsoft Project and BIM. Duncan is a qualified project management professional with particular expertise in project and program management, project planning, execution, cost controls, and risk as well as project programming and scheduling. 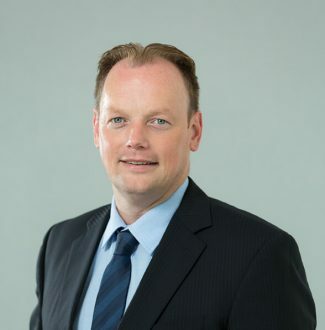 With a career spanning over 15 years, Duncan is a focused and driven individual with experience in large scale infrastructure, biopharmaceuticals and semiconductor facilities, renewable power generation, commercial and residential buildings, as well as civic and educational facilities. 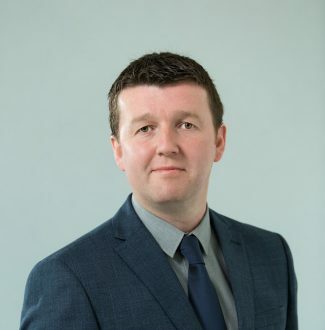 Executing lead project management and scheduling roles, both in Ireland and internationally, Duncan has been involved in a number of significant projects which have spanned the project lifecycle through scope development, design, planning consent, construction, commissioning, qualification and handover. Duncan is an experienced Primavera P6, Microsoft Project and @Risk, risk simulation modelling user. 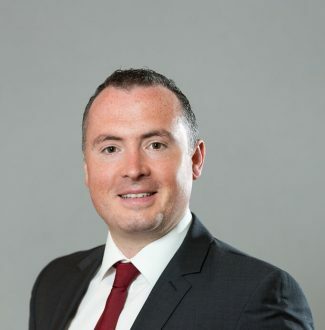 With a career spanning thirteen years’ in the construction industry in Ireland, Philip has acquired significant experience in the procurement and cost management of buildings for both public and private sector clients. Projects have covered manufacturing facilities, tourism and leisure facilities, campus projects, education facilities, as well as sensitive conservation commissions. 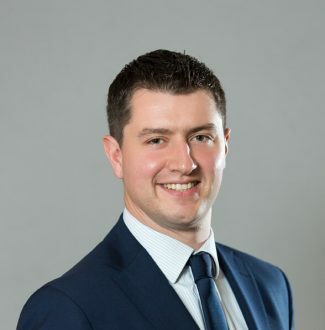 Philip spent part of his early career working in the insurance loss adjustment industry and also in Quantity Surveying roles for both main contractors and consultancy practices, giving him diverse experience and perspective. Paul is a Chartered Quantity Surveyor with particular skills in the field of Public Procurement, Contract Administration, Project Cost and Financial Control. 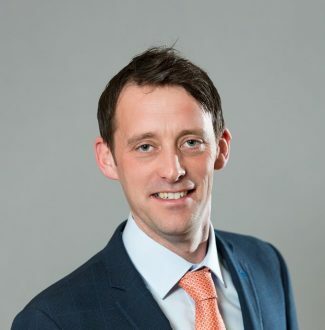 Paul has over 13 years’ experience in the construction industry in Ireland and the UK, with experience in healthcare, educational, commercial and residential buildings as well as infrastructure and public realm projects. 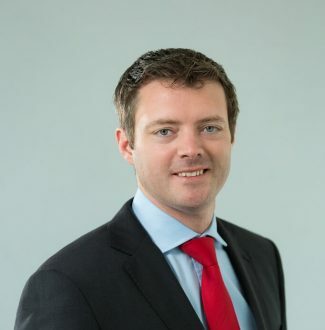 Aifric graduated from Dublin Institute of Technology with a Bachelor of Science degree in Quantity Surveying and Construction Economics in 2018. Starting as a 3rd year placement student with Carron+Walsh in 2017, Aifric has continued to work in the business throughout her final year of studies. Aifric has supported Senior Team Members and Directors on projects from inception through to completion gaining a wide range of experience. She has worked alongside the team on a range of projects covering public works buildings, healthcare, residential, retail, commercial, educational and historic buildings. 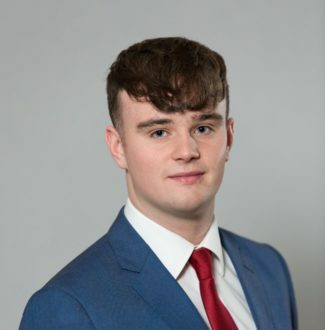 Through a sponsorship programme within Carron + Walsh, Cormac is currently studying part time in Dublin Institute of Technology to achieve a Bachelor of Science Degree in Quantity Surveying and Construction Economics. Cormac completed work experience in 2015 with Carron + Walsh and decided to continue working with the company alongside his part time studies. This sponsorship programme facilitates Cormac in enhancing his career with Carron + Walsh whilst also enabling him to pursue his studies. Cormac supports Senior Team members and Directors in all stages of projects whilst obtaining valuable experience and mentoring. He has been involved in many projects including public works projects, residential, educational, commercial, leisure facilities and historic buildings. Vera graduated from University College Dublin with a Bachelor of Arts Degree in Economics and English in 1997. She went on to further study Economics and achieved a Master of Arts Degree from University College Dublin in 1998. In 2005 she became an Associate of the Irish Taxation Institute having successfully completed Parts 1, 2 & 3 of the AITI examinations. Having graduated from University College Dublin Vera worked as an Underwriter with AIB Finance & Leasing, she subsequently joined PricewaterhouseCoopers where she undertook studies with the Institute of Taxation of Ireland, and continued working as Tax practitioner in the industry until joining Carron + Walsh. Vera joined Carron + Walsh in 2016 in the role of Project Administrator. She brings to this role just under 20 years’ experience in the area of accountancy, taxation and administration. Mandy is the Carron + Walsh Office Manager with 15+ years’ administration and office management experience. Mandy has strong organisational skills with a background in operations, finance and customer services. Responsible for a diverse set of daily administrative and financial tasks, Mandy performs her duties with decisiveness and accuracy and has worked in a range of industries prior to joining Carron + Walsh.